However, as Statista's Niall McCarthy notes, even though the Saudi-led coalition is using advanced western warplanes and precision guided munitions in its aerial campaign over Yemen, innocent civilians are still ending up in the crosshairs. Around 10,000 people are thought to have perished in the conflict so far, two thirds of them civilians, according to the UN. The fighting and a partial blockade has also left 22 million people in need of aid and the situation could deteriorate even further depending on the outcome of the assault on the coastal city of Hudaydah. It is a vital port for humanitarian aid and severing that flow could put hundreds of thousands more people at risk of starvation. 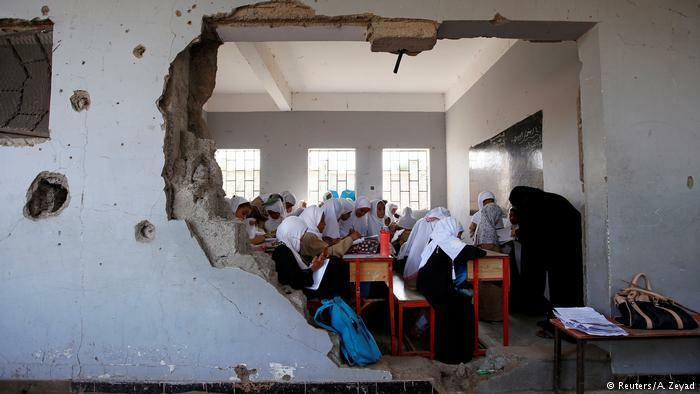 Reliable statistics about the conflict in Yemen are notoriously difficult to come by. A non-profit organization called The Yemen Data Project has been monitoring airstrikes by the Saudi coalition and their findings help build a picture of the scale of the air campaign. There have been around 17,000 airstrikes in total since March 2015, the following infographic provides an overview of some of the targets struck. While around 3,400 military sites have been hit, residential areas have been targeted on 1,543 occasions. There have been 70 airstrikes on medical facilities, along with 266 on educational institutions and 45 on mosques. As Ditz notes, the systems are designed for precise counterattack, and are clearly being bought explicitly to use in Yemen. Yet the Merkel government, as part of its coalition deal, announced a full export ban to “any sides fighting in Yemen,” including the Saudis.